Lead generation is only half of the battle when it comes to a smooth and effective sales process. The other side of the coin is knowing how to identify qualified leads and appropriately budget your time to focus on leads that meet certain criteria. Spending your time building relationships with leads that don’t have a strong need for your offering, can’t afford you, or isn’t in a position to commit to your offering is time wasted. Sure, they might buy your solution if you make a great pitch — but will they stick around? Your focus has to be on the lifetime value of the customer. Which customers will add the most value to your company over time, and be the best partners for your business? You need to focus your efforts on leads that are truly qualified. 57% of B2B organizations identify ‘converting qualified leads into paying customers’ as a top funnel priority. But identifying who those qualified leads are in your pipeline can be tough. Putting those evaluation processes in place is one of the first changes that I recommend when working with a new client. The most basic way to evaluate a lead is to ask a series of questions about the lead and put in processes for determining the answers to those questions. You can build them into your onboarding process, use initial conversations with sales reps, or find creative ways to find the answers. Is the Lead a Decision-Maker? A lead can’t be qualified if they aren’t the person within their organization that makes the final call (or is at least part of a buying team that makes the final decision) on whether or not your solution is a good fit for them. A low-level employee probably won’t carry the weight within their company that they need to make an investment in a solution. At best, they can pass the idea up the ladder. But since it wasn’t the decision-maker who found and had interest in your solution, the chances of the lead converting into a sale is much slimmer. Marketers should identify early in the process whether or not the person that they are speaking with is able to make decisions within their company. Typically, this can be done through a form field question that asks about their role within the company. 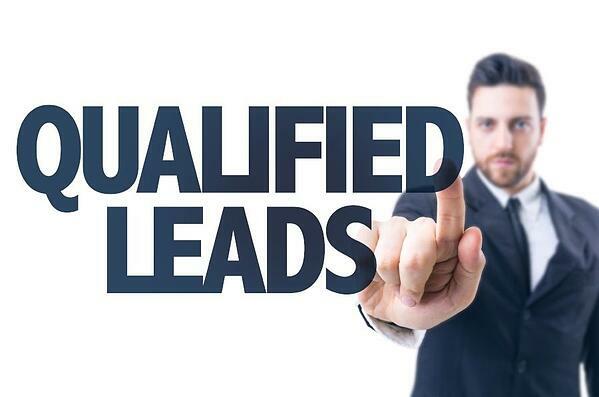 Does the Lead Need Your Product or Services? It may seem like common sense, but so many sales reps miss this absolutely critical step. You must determine whether or not the lead in questions company has an actual need for your product or services. This question is a bit deeper than simply establishing a need, though. They have to be aware that they have the need. You can’t convince someone that they need a solution to a problem that they aren’t aware of, or don’t believe is actually a problem. If a new lead comes to me looking for a website redesign and I go to their website and they have a beautiful, modern, mobile-friendly website — I can reasonably assume that they don’t actually have a need for that service. Maybe they need another related service. In the end, determining need is important not only for providing a great experience to your clients but for ensuring that you don’t waste a lot of time on a sale that is never going to come through. Can the Lead Afford You? It can be uncomfortable to ask a lead what their budget is. You don’t want to scare them away. You don’t want them to think that you are going to quote them an amount that maximizes their budget. Still, you have to make sure that they can actually afford your services. For some companies this step is easy. Maybe you provide a product or service that makes it easy for you to list your price directly on your website. In those situations, you can reasonably expect that those that enter their details in your form are aware of your price and able to afford you. Although there will always be leads that fill out your form without actually being able to afford your service, they will be far fewer. Companies that offer custom services must determine whether or not a lead can afford them to determine if they are a qualified lead. You could ask for their budget on a form field, or make that one of the first questions they are asked when they begin engaging with your company. Time spent engaging with leads that can’t afford your product or services is time wasted. Is the Lead Engaged in the Buying Process? Is the lead actively engaged in the buying process? Are they asking questions? Sharing relevant information about your business? Do they keep appointments and speak openly with your team whenever you try to engage with them? 96% of visitors that come to your website are not ready to buy, yet. There is a process of engaging with your materials and reps that has to happen for most customers to be willing to make the purchase. An engaged lead is often a qualified lead. They are more likely to understand your product and how it will fit into your current business processes. If they seem eager, it is likely that they are a good fit for your offering. Active engagement also speaks to how you can expect them to interact once they are a customer. 54% of email marketers say that increasing their engagement rate is their number one priority. Actively engaged leads become customers that answer your questions and work with you as a dedicated partner, rather than someone that will flame out over time. Ultimately, your ability to attract and identify qualified leads will play an absolutely critical role in the success of your business. It’s the difference between customers that stay with you for a month or two and customers that stay with you for years. It’s the difference between problematic customers that have skewed expectations and customers that work with your company as a valued partner. Here at RiseFuel, I work with companies to implement sales enablement practices that help them to attract, identify, and close qualified leads that will change the shape of their business. Being able to reliably identify and engage with qualified leads allows your sales reps to focus on the relationships that will deliver the most value over time.